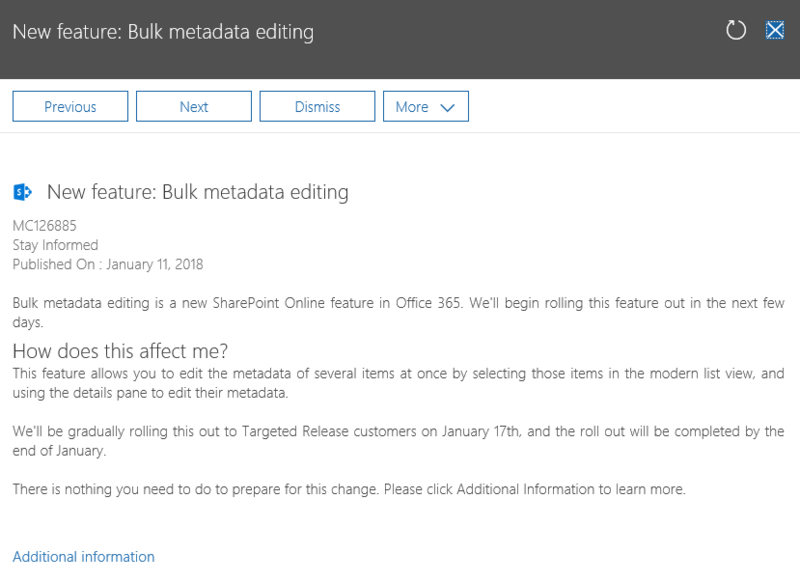 Little known to many, a highly useful feature has been introduced in your Office 365 SharePoint Online sites as part of a January 2018 update. This feature allows you the ability to selectively update a several list item properties in one step within the modern list view by using the Details Pane. View more information on the feature here. You need to mention that this feature doesn’t work if you have boolean columns in your list. If you don’t touch a text column, for instance, then no changes occur to that column in the items you are editing. But if you don’t touch a boolean column then it stays in its default position of “no” and IT SETS ALL SELECTED ITEMS TO NO FOR THAT FIELD. This basically makes the bulk edit a useless feature if you have boolean columns.